Asia is at this moment the largest gambling market, but that is not really an unexpected fact, since inhabitants of Asia make up more than 60% of the world’s population. 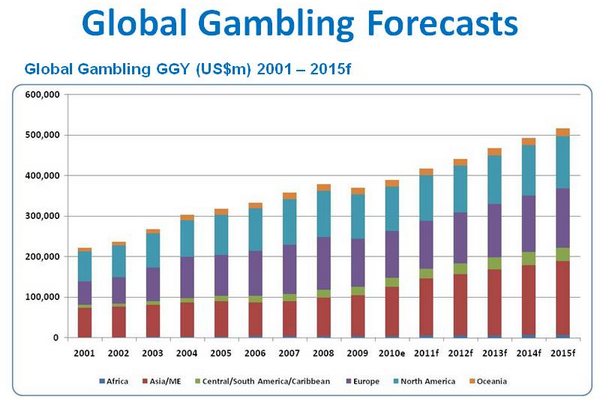 Some tendencies in the global market for online gambling are also present on the Asian market, such as online evolution and the increasing trend in using mobile devices, like phones and tablets. And all these changes imply and involve technological measures in order to keep up with the mounting demand. But the major changes that take place on the gambling scene appear in the regulatory spheres too, where every state needs to keep up with an already present phenomenon and needs to create rules and regulations accordingly. As the online gambling market is experiencing a consistent growth with the mergence of new technologies and the increased accessibility of the Internet, it’s time to take a closer look at the fastest growing iGaming market – Asia. There are many forms of betting in China, like sports, lottery and various slot machines. Some of them, such as mahjong, poker, casino games and sports betting with non-approved sites are forbidden and Chinese Sports Lottery has a monopoly on all sports betting in mainland China. However, operators, promoters, agents and junkets (not players) are tracked down by the authorities. Though it is very popular in China, online gambling is mostly illegal and those who bet prefer internationally licensed websites for the large variety of sports games, in-play betting options and live casino games. For land-based casino games, most big players in China prefer to travel for one day or two to Macau, where most gambling activities, land-based and online, are allowed. Hong Kong permits certain forms of gambling, as long as they are managed by the government-sponsored Hong Kong Jockey Club (HKKC), such as horse races, football matches and lottery. Mahjong is another gambling activity that is allowed to operate in Hong Kong and poker appears to be in a gray area, still running in an underground manner. Any other gambling activity is illegal and harsh penalties are applied. For this reason, most Hong Kong punters prefer to travel frequently to Macau. Gambling in Taiwan is regulated by strict laws and you can bet on the Taiwan Sports Lottery, the only source for legally betting sports in the country. Since odds are not great, bettors prefer online gambling websites that offer Mahjong, baccarat, slots, Chinese chess, sports, casino and in-play gaming, and much better odds. As in the neighboring countries, Taiwanese people prefer international websites and regional ones, which support the local language. Though not easy to place money online, you can find a method that works for gambling websites deposits, like EntroPay or Skrill. If you want to play safe, you can place bets with Taiwan Sports Lottery. However, for better odds and a diversified offer, you can choose the 2 gambling websites mentioned previously. Though not legal in Taiwan, those websites that are not under Taiwan jurisdiction are not blocked by the authorities. Macau is a Special Administrative Region with a different government and laws. It is officially part of China, but it has its own capitalist economy and political system. In Macau, land-based casinos, sports betting, and poker are allowed. It doesn’t address, license, or even acknowledge online gambling. For online casino operators, Macau does not license online gaming operations. Since it is not regulated, online gambling is not forbidden and you can bet online without worries, which is an important thing to know, especially when online gambling activities are banned in China, Hong Kong and Taiwan, the main places that provide players for Macau. Macau remains the richest casino destination in the world and the epicenter of the gambling industry, having surpassed Las Vegas for gaming revenues. All gambling activities in Macau fall under the jurisdiction of the Gaming Inspection and Coordination Bureau (DICJ), which oversees the entire gambling industry. An interesting aspect of the Macau gambling revenues is that two-thirds of them come from junket operators that bring VIP clients, mainly from China. They don’t provide just concierge services and VIP treatment, they have another important role. For business men and rich people, taking money out of China is not an easy thing to do. Therefore, in this case, the junkets play an important role, that is to provide money to the gambler and then recover the money back in the home country. Though this was an illegal activity before Macau return to China, after 2002 a series of laws came into effect and regulated this activity. The Philippines is a relatively mature gaming market with many forms of gambling available. This country has a very distinct approach to online gambling. There are two distinct regions for gambling purposes: the state-owned Philippine Amusement and Gaming Corporation (PAGCOR), which operates all land-based and online casinos, bingo, sports betting, and betting establishments and is the sole authorized gambling operator in the country, and the Cagayan Special Economic Zone and Freeport or Cagayan Freeport, which is the only region in the Philippines that is not under PAGCOR monopoly. Online casinos in the Philippines are considered to be safe for players, especially since PAGCOR itself owns and operates some online casinos. All Philippines casinos bearing the PAGCOR or the Cagayan license are safe to use, since that means that the casino has been verified and it operates within the law. For companies looking to set up a gambling company in Asia, the Philippines is a very valuable gaming license to hold. Although it’s more expensive than other licenses, the taxation system is beneficial for international companies. A full license, covering both online casino and sportsbooks, includes a new application fee of $40,000 and an additional $48,000 per year for sports book operations payable upon license issuance. The renewal fee is $40,000. The Philippines iGaming sector is expected to grow substantially in the following years and to continue generating large revenues. According to Asia Gambling Brief, the Philippines is expected to be the fastest growing gaming jurisdiction in Asia, with the total size of the market predicted to reach $2.7 billion in 2015, from $2.05 billion registered in 2014. EveryMatrix has recently opened an Asian office in Manila, thus ensuring a presence within the region whilst catering to the growing demands of the online gaming communities in Asia and it has some operators on the Asian market. Gambling as a whole is banned in Singapore. Just recently, Singapore has blocked hundreds of offshore gambling sites and it has become a criminal offense to gamble online on an unauthorized site. The new Remote Gambling Act, which came into effect this past October, prohibits gambling services, remote gambling service advertisements and remote gambling promotion and only allows online gambling services to be provided by local non-profit operators. This new law came as a result of increased popularity of online gambling in the country and has resulted in many online gambling operators leaving the Singapore market. In Japan, online gambling is not allowed and gambling as a whole is quite strongly restricted and controlled. The only gambling activities legally permitted are lottery, scratch cards, pari-mutuel betting on horse racing, bicycle and motorcycle racing, powerboat racing, and soccer toto wagers. However, the government cannot prevent people from accessing foreign gambling sites. Despite tight restrictions, sports betting and gambling are very popular. Online betting is allowed by the Japanese authorities for lottery, football and public sports, but it is only for pari-mutuel betting with the official channels. For more complex betting options, such as betting fixed odds, live sports, casino, poker, etc, international gambling sites are preferred. Online gambling is prohibited in Vietnam and all forms of gambling, except state lottery, are illegal. There are strict penalties and fines for people who place bets or engage in other forms of online gambling. However, due to these overly tight restrictions, there are many forms of illegal gambling thriving in Vietnam, as the Vietnamese are big fans of gambling, including casino games, lotteries, online poker and online sports betting. Similar to the neighboring countries, international and local betting websites are easy to access and local authorities do not try to block them. Due to the strict Islamic law governing the country – where more than 90% are Muslims – most gambling activities are strictly prohibited. The only type of legal gambling is the free licensed lottery. However, despite the government’s efforts to ban online gambling, sports betting and table games are extremely popular in the country and there is little to be done to prohibit Indonesian citizens from accessing international or local gambling websites. In South Korea, gambling activities are illegal. Even more, it is a crime for Koreans to gamble outside the borders. Nevertheless, some state controlled gambling activities are allowed, like horse racing, lottery and betting on some sports. To encourage tourism activities, South Korea has 16 casinos where only tourist can enter. The only casino that allows South Koreans to gamble is Kangwon Land Resort & Casino, located in the northern part of the country. Online betting is not approved from a technical point of view. Still, Koreans can place bets (like many other Asian countries, where gambling is illegal) on regional gambling sites that support easy payment options and a friendly Korean language interface. Using these sites, Koreans can bet on sports, casino games, poker, baccarat, roulette, blackjack and mahjong. International betting sites are more difficult to use, since it is not that easy to deposit money, though the sports betting options offer more gaming diversity. Thailand is a country where gambling is regulated by multiple laws and though most of it is illegal, Thai people love gambling activities. Thailand offers 2 forms of legal gambling: horse races in Bangkok (which is usually addressed to high society) and the national lottery, which is a big deal all over the country and most people in the country can access. To satisfy the Thai demand for all sorts of gambling, there are casinos in Cambodia, Burma and Laos which can be visited by Thai citizens. Even more, they are able to play online and then visit personally the casinos from the neighboring countries to collect their money. As for online gambling, which is highly popular, the Thai can place their bets on websites that are licensed and legal in other countries, such as Philippines or UK, preferring sports betting, casino games and online poker. Thai players prefer local bookies because they offer localized interfaces and much easier payment options. UK betting websites are also used, but it’s not that easy to deposit money and fund your account. Nevertheless, UK betting sites offer in-play betting options and a higher degree of trust and safety, especially for English speakers living in Thailand. Malaysia is a country with a 60% Muslim population, which is subject to the Sharia law that forbids gambling activities. This prohibition applies to both the local Muslim population, but also to Muslim tourists that visit the country. Still, there are legal forms of gambling that apply to Chinese minority (1/3 of the population) and tourists, which are not of Muslim faith. Online gambling is possible by using overseas gambling websites, from Philippines and UK. To make things easier, players can transfer money online or at an ATM machine by bank transfer as many banks are available. The main gambling websites used by locals are licensed in Philippines and offer poker, casino games, sports, etc. and in Europe, which provide global coverage and a vast array of sports and casino games, like online slots, baccarat, blackjack, roulette or live casino and poker. India is experiencing a rapid growth of its online gambling market, although gambling as a whole is very restricted across the country. Horse racing and lotteries are the only fully legal gambling activities. India’s online gambling market consistent increase in the past years is mainly due to the growth of the middle class and the spread of Internet access across the country. At this moment, cricket is the most bet on sport in India and most punters choose regional websites that provide easy payment options. Although the Indian government does not give out licenses to operate gambling websites, there are no specific laws that explicitly prohibit online gambling. The vague, outdated legislation related to online gambling makes it very difficult to determine what is and what isn’t permitted in India. It is unclear whether online gambling is banned or not, but the Indian government has the ability to block foreign gambling websites and prevent its citizens from using betting and gaming sites. Two states in India have introduced specific legislation related to online gambling. In Maharashtra, online gambling is completely prohibited, while in Sikkim the government now has the authority to issue licenses to operators wishing to provide online gambling services within the state. Recently, a new law – Foreign Exchange Management Act – has been imposed, which points out that online payment on gambling sites must be done in Rupees. Nevertheless, most players choose to use an electronic wallet, such as Skrill, PayPal and Neteller. If we need to reach a conclusion on India, with such a large population and Internet spread all over the country, we have to expect a growing demand for online betting, but also for regulation measures. In Bangladesh, online gambling is illegal under the Islamic law. As in Pakistan, there is a great number of bettors who choose to bet online on well-known websites from the West. Pakistan is an Islamic country and all gambling is banned. Nevertheless, most punters do place bets on international websites, which are legal in Europe and provide Pakistani banking options. Until June 2013, the citizens of Lebanon were allowed to access a number of online gambling sites. From that moment on, the Ministry of Justice decided to stop all foreign online gambling operators and give legal monopoly to Casino du Liban, which is right now the only place where you are allowed to gamble. Kuweit is an Islamic country and all gaming activities are prohibited. Brunei is a wealthy country located on Borneo Island, neighboring Malaysia. Since it is an Islamic country, all forms of gambling activities are banned. Bahrain is an Islamic country and gambling of all sorts is banned. Internet censorship is also enforced and the government blocks websites that are connected to gambling. Another Islamic country, where gambling is illegal and gambling websites are blocked by Internet censorship. Online gambling is illegal in the United Arab Emirates and authorities take serious prohibition measures to detect and block the banned online content, including gambling websites. 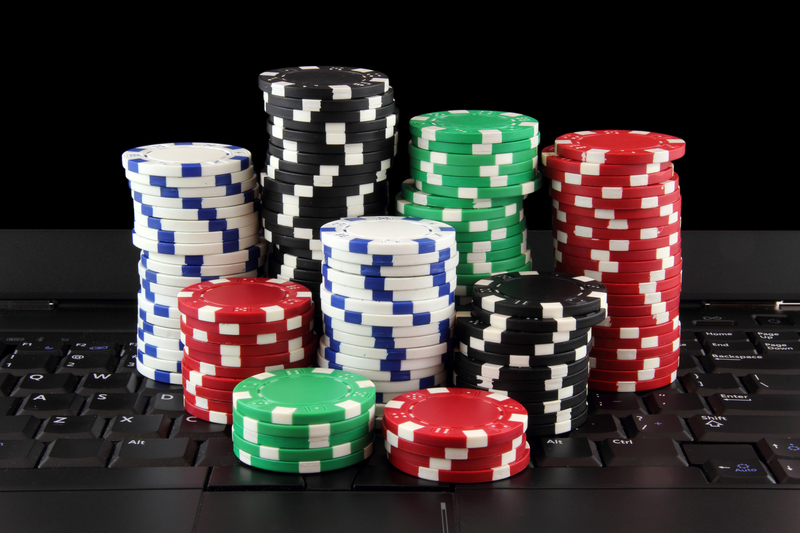 Online Gambling in Asia: A Sure Bet or a Losing Gamble? The Asian iGaming market is an interesting place to watch in the following years, since the land-based casino games are losing more and more clients to the online sphere. At the same time, we need to focus our attention to the main countries that dominate this industry, even if they did not fully regulate or simply prohibited online gambling activities, like China, Japan or Korea. Though the online gambling landscape over Asia creates a complicated picture to understand, especially for the main players, things are not hard to understand. We noticed that Muslim countries forbid gambling activities based on religious reasons, but we also noticed countries with strong political leadership blocking this rather “liberal” area of the advertising world. At the other end of our interest, we find “gambling havens” like Macau and Philippines adopting a very friendly attitude towards this industry. And finally, in the middle, we find countries that may have forbidden gambling, but do not actually try to block these activities, especially as long as they take place online, like Thailand or Malaysia. In an area where the digital sphere is connected to the legal area and the technological advances improve the overall human experience, we can only expect an ever growing regulated market to develop over the international scene. 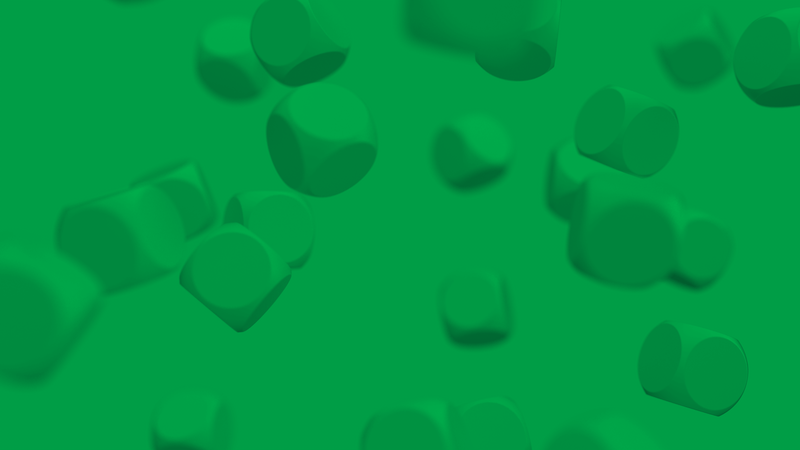 EveryMatrix is one of the leading software suppliers in the iGaming industry, providing complete gaming solutions and a flexible gaming management and payment processing platform. To ensure continuous presence on the Asian market, EveryMatrix opened offices in China and Philippines, two of the largest gaming communities in Asia. Data in this blog post is for general information purposes only. While we try to keep the information and sources up to date and correct, we make no representation or warranties of any kind, express or imply about the completeness, accuracy and reliability with respect to data provided here. Any reliance you place on such information is therefore strictly at your own risk. Online Gaming. A Gamble or a Sure Bet?